Meanwhile, here at Jaman HQ...: Changing the menu. Those visiting the site regularly will have noticed that things have changed completely over at Jaman.com. Once, and not long ago, we were a destination for some of the finest world and independent cinema on the internet. At least being such a place was our goal. But since we pioneered the very idea of watching movies online the market has become saturated (too saturated, some might say) with online viewing options and the field became an increasingly difficult one to compete within. 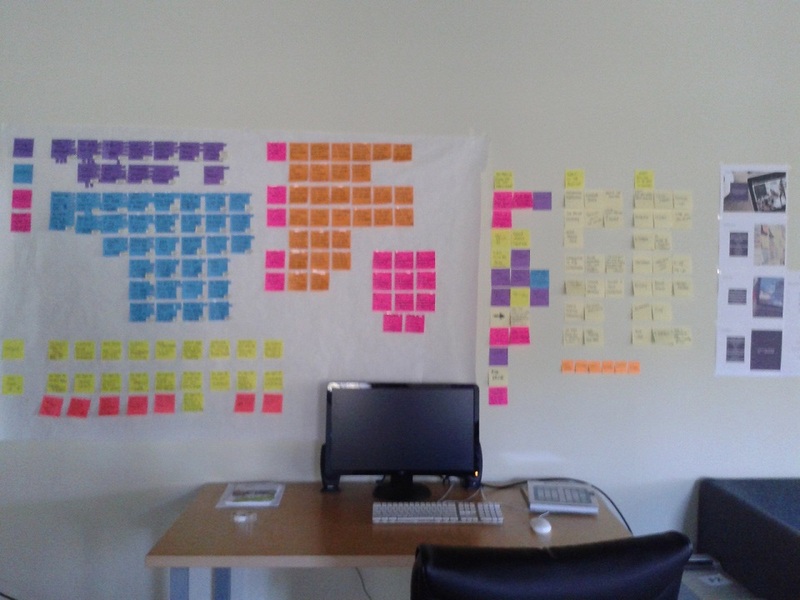 We started thinking about how best to deploy both our technical expertise and knowledge of cinema within this now crowded marketplace, and after a process involving a lot of soul searching (and a superabundance of sticky notes - see image), the Jaman Discovery site is the result. Rather than remaining in the field of online cinema, we’ve created a tool to help you navigate that field and its many options. The Discovery tool allows you to seek out new or familiar films based on the kind of movie you want to see, and where you want to see it. Searching for movies to watch online can sometimes be a pain. Our plan is to make the process fun, more browsing than searching, to aid you in discovering something new to watch. Or to resurrect an old favorite. Or to enable you to waste an hour watching oddball trailers (full disclosure: which we have done. Repeatedly.) I myself have found the site a better means of finding movies on Hulu than on Hulu itself. So please enjoy using the site. Follow us on this blog or at our new Twitter account. And be sure to click the Feedback link and let us know how we’re doing.